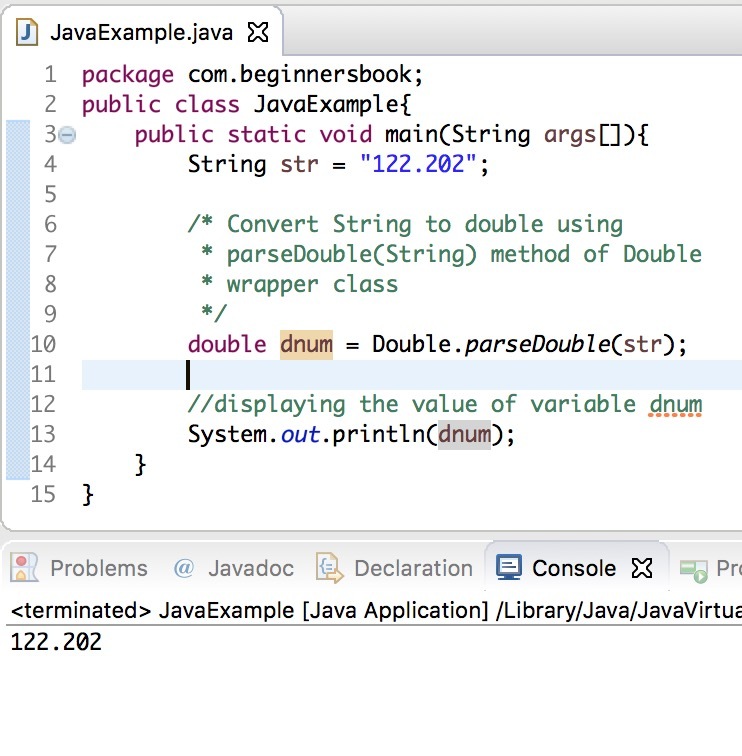 In this guide we will see how to convert String to Double in Java. There are three ways to convert String to double. This method returns the double representation of the passed String argument. This method throws NullPointerException, if the specified String str is null and NumberFormatException – if the string format is not valid. For example, if the string is “122.20ab” this method would throw NumberFormatException. The value of variable dnum of double type would be 122.202 after conversion. Lets see the complete example of the conversion using parseDouble(String) method. 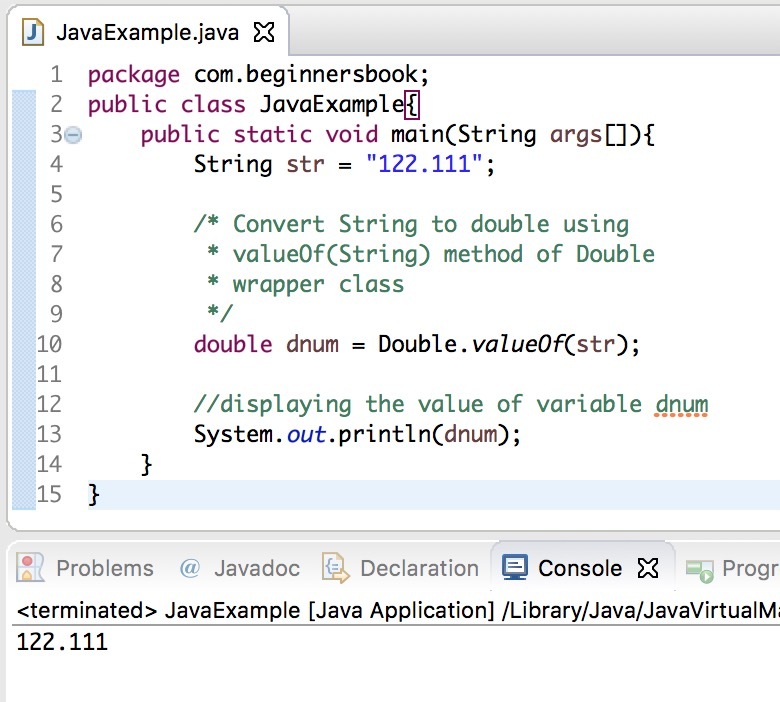 The valueOf() method of Double wrapper class in Java, works similar to the parseDouble() method that we have seen in the above java example. Lets see the complete example of conversion using Double.valueOf(String) method. Double class has a constructor which parses the String argument that we pass in the constructor, and returns an equivalent double value. Using this constructor we can create a new object of the Double class by passing the String that we want to convert. In this example we are creating an object of Double class to convert the String value to double value.